While sometimes Eurovision can feel dominated by English-language songs, this year there was something of a renaissance for songs in other languages. Following Jamala’s 2016 win with the bilingual “1944”, seven songs ended up in the 2017 grand final with lyrics other than English. But how did they do? Let’s take a look! Note: For this list, we’re including bilingual songs that include some English, as well as those sung entirely in a non-English language. “Do It For Your Lover” originally had all-English lyrics, but before the national final, Manel changed the verses to Spanish. But this meant that most Eurovision listeners couldn’t understand the heartfelt lyrics of the verses and just heard the basic, repetitive chorus that urged the audience to “clap your hands and do it for your lover”. It wasn’t successful for Spain. The bilingual “Do It For Your Lover” placed last in the grand final with only five points, all from televoters in neighbouring Portugal. Belarus has been competing in Eurovision since 2004, but this year marked the first time they’d entered a song in Belarusian. The infectiously positive “Story of my Life” smashed through any potential language barriers and had audiences merrily bopping along. Naviband managed to do what Belarus’ previous two English-language entries couldn’t — it qualified for the grand final, where it placed 17th with a decent 83 points. Croatia was the only Balkan country to make it to the grand final but “My Friend” didn’t have any lyrics in Croatian. Instead, flamboyant performer Jacques Houdek used a combination of English and Italian, to represent a pop singer and an opera singer. And it worked — the two Jacques brought Croatia its best result since 2006, 13th place in the grand final with 128 points. When Alma and “Requiem” were first confirmed as France’s entry for Kyiv, the song was entirely sung in French. But after a revamp, the version for Eurovision was revealed with an English chorus. Fans were initially apprehensive about the new lyrics, but at the grand final Alma delivered the bilingual song with elegance and mystique. It placed 12th with 135 points, which gave France its third-best result in the past decade. Since the launch of national selection A Dal in 2012, Hungary has never been afraid of selecting songs with melodious Hungarian lyrics. Joci Papai delivered the powerful “Origo”, a song of societal prejudices, God and music which combined traditional Romani style with modern rap. Televoters were especially taken with the performance. “Origo” gave Hungary its third-best ever result, in eighth place with 200 points. While “Occidentali’s Karma” had a few words and phrases from other languages, it was by and large an Italian song. The lyrics might have had more meaning to the Sanremo audience, but Francesco Gabbani’s energetic performance (helped out by his ape friend) made the performance popular with viewers. While it didn’t win, as many had expected it to, the song still placed well. It finished sixth, with 334 points. But this year, everything went right. “Amar Pelos Dois” was yet another song proudly sung in Portuguese. But this time the song had a strong and sentimental melody. Along with Salvador’s quirky jazz vocal style, the lyrics cut right through the language barrier and touched the hearts of listeners all over Europe. After 53 years, Portugal finally had its first win, with a massive 758 points. Poll results: What is the best non-English entry at Eurovision 2017? Earlier we asked wiwbloggs readers to pick their favourite non-English song from 2017 (we didn’t include Croatia’s entry in this poll). What do you think? What was your favourite non-English song? Should more countries send songs in other languages? Share your thoughts below! Face off! Which Eurovision 2017 act worked their own LED image best? I don’t understand this question. Why would it be better in Swedish? The music scene in Sweden is both local and international. Many Swedish artists the best ones that delivers the most interesting texts and feelings sing and write in English. Some that sing in Swedish are actually the typical fast food music. I dare say that this is very common in Melodifestivalen. The joke entries for kids are sungvin Swedish. Language has nothing to do with the quality of the song and performance. Brazil is right here and we understood every single word Salvador sang! Even if it was not my country, I was so proud of Portugal! Really! See you guys in Lisbon next year! Save for Spain they all did remarkably well. All the non english songs qualified for the final. I don’t mind the songs being in English as it it’s my main and only language and I appreciate being able to understand the songs without having to look it up. But at the same time I think we need songs in other languages. What they can do is song a bilingual song or have the music made with traditional instruments to give it some national flavor. I think your last suggestion (bilingual song or traditional instruments) is where Bulgaria have vastly improved, essentially leading the pack on that movement. Even though countries like Serbia, Greece, and Azerbaijan are shying away from their “cultural sound” (for lack of a better term, I apologise), Bulgaria took it on board and achieved their best-ever results two years in a row. It’ll be interesting to see how these entries will shape up next season, and what kind of stuff we’ll see at the National Finals! Hopefully Salvador?’s win will show artists and HoDs that singing in English is not a prerequisite for success, or even a risk at all. Albania’s obsession with translating their songs is really bothersome to me, as well as what France did this year and Italy the previous one. Bilingual songs that weren’t written as such turn out to be hot messes most often than not, and the “message” (let me guess, love and peace?) gets lost anyways. It’s even funnier considering Albania’s best ever result was in Albanian (“Suus”, Rona Nishliu, 2012), and both of Ukraine’s wins had Ukrainian (whether it be Ukrainian or Crimean Tatar). I think they did quite a nice work with “No Degree of Separation”, but I agree about Requiem, the studio version was butchered. Albania lost a opportunity (again) of qualifying by translating the song (even though Lindita said that the original one was in English). Portugal was the only non-English song in the first semi-final, standing out easily. Countries tend to take more on STYLES than languages when you look at the winners. I mean, how many big ballad ladies we had after Jamala’s win? I just noticed that Belgium was the only country in the Top 10 with an only-female-act performing. The male dominance this year is something very unusual, I think. The article needs a correction: Croatia was not the only Balkan country to make it the final. It was the only “Ex-Yugoslav” country to make it. There is more to the Balkans than Yugoslavia! The Balkans takes its name from Bulgaria’s Balkan Mountain range (which extends partly into Serbia). So Bulgaria, another Balkan country, also made it to the final. Romania and Greece are usually considered Balkan too. While your point does have validity, The Balkans as most understand it are those countries that are primarily out of the Ex-Yugoslavia region. Serbia, Croatia, Montenegro, Macedonia. Albania is spoken of as Balkan but like Greece & Bulgaria and Romania, due to their historical past is treated separately, though cannot be denied as part of that “identity”. The article is “correct” as most would understand it. It was surprising to actually see how well some of them did with the televote. In all honesty I never really liked the Belorussian song but France and Portugal were my favorites this year. Also started to appreciate Hungary a lot more after the contest BUT Croatia is still a no-no. Italy didn’t do as well as everyone expected though ….. Which I saw coming ever since the song was released. We all forget that the winning entries from last 2 years are not 100% in english. Jamala sang half Turkic half english. This year portugese entry was also not in english. Where England is situated? If no in Europe , why songs to sing in english? because English sounds better, it’s international and most people understand at least some of it… of course the melody has to also be good… and why do we post here in English? How could the juries hurt Hungary so much? Or France. Or even Italy? We will see more non-English songs next year but this trend won’t last for too long. The next winners will probably be in English again. We all know why juries in many countries hurt Hungary and only neighoburs countries juries like Serbia, Croatia gave 12 points. With Italy it was so hyped up that people got tired of it. I was ready for Italy to win, but then the staging was lack luster and lost a lot of it’s magic. So you had a song that was super hyped and then you get a stage performance that doesn’t live up to your expectations. I think the Italian staging would never live up the expectations. A lot of people were hopping for some kind of “Lazarev’s staging”, others for something happy with the gorilla (that would probably be killed by the juries). I think the delegation did what they could do. Maybe with some few camera shots and lights would make it work better. But there wasn’t much more to do. Jo, they also “hurt” Romania, too, didn’t they? listen to ilinca’s excellent voice, and mixing rapping and yodelling was so ingenious… let’s face it, with Eurovision, it’s all about the politics. they gave Australia so many points. why? by the way, Romanian myself, I loved Hungary’s entry, too. but we’re kind of second-hand Euro-citizens there. It may be because many good turkish songs in 70s, 80s and 90s were killed by eurovision juries. Seninle bir dakika, halley and be?inci mevsim are the first ones coming to mind. Dinle is the only exception that achieved mild success. And when Turkey started singing in english, victory came. But maybe tide is turning…who knows? Yes, turkish songs in 70s,80s,90s mostly were killed by the juries. But today most of the juries also respects singing in own language. Or it could be half english half turkish. Like Jamala did. Overall I always say ; In ESC the most important think is to have a good song. Language doesnt matter. Oh! I also think culturally that Europeans are shifting more to celebrating their own identity. For a long time unifying Europe and being more homogenized was encouraged but now their is this push to hang on to your cultural heritage that plays into music as well. It has clearly manifested itself in more political manifestations like Brexit but it could see itself in Eurovision as well from a cultural standpoint. Indeed. It think this is a big part of it. Anyway I hope these televoting results will push many countries to send songs in their language next year. Of course, I wouldn’t expect this from places like Denmark and Sweden (their most recent Danish/Swedish language song dates back to pre-1999, when the language rule was still on). I still don’t understand why people like Artsvik, who don’t speak a word of English, were forced to sing in English…? Notice how ALL the non-English songs were higher in televote than in jury vote (except for Portugal, which ended 1st in both). The juries, which are supposed to award quality, seem to tend to prefer basic songs in English for some reason. It’s interesting that in Melodifestivalen the international juries always ignore the Swedish songs in the final. Folks like Jon Henrik and Hasse always do really really well with the public but the juries hurt their scores considerably. Usually the English pop songs are strongest for sure but clearly there’s a strong push from the Swedish people to celebrate strong Swedish-language songs that celebrate their cultural identity. Jon Henrik’s song is very good and I’m still listening to it. I think Sweden lost a great opportunity to bring something different to the contest (and I think that song could finish very well). Speaking about cultural diffrences. Hasse’s type of music is influenced by american folklore and is a kind of easy going music that always sounds the same. For me it is very tedious. Hasse is a kind of charmig though. All music in Sweden is a mixture of influences. A song in English can be more “swedish” than a song in Swedish. I think it was normal that the jury did not like the style of music from Belarus, Italy and Hungary (which had rap), but France impressed me. Maybe it was the live, maybe it was the English-French mix, etc. Yes, but they were supposed to be professionals, judging the song regardless the music style. 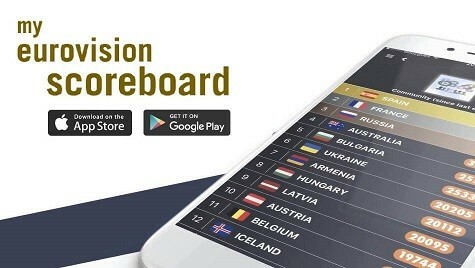 This year is a big success for non-English songs as everyone but Spain managed to get a really high score and one of them won. I hope 2018 selection will have more songs like Mustelmat, Kewkba, Shiu, Petale or Contigo. We have a word for hello too it’s not Bonjour it’s Salut. You can also use others like Coucou. I don’t know if the victory of Salvador will change things regarding the language. I hope too but I really doubt it. Would LOVE to see/hear more songs in LOTE (Languages Other Than English, as they’re known in the Australian school syllabus). It’s great to see that this year they ALL qualified! Stand up, Europe! Let’s hear you in your OWN voices – including the UK (Welsh/ ScotsGaelic/ Manx/ Cornish) and Australia, where we have over 20 Aboriginal languages to choose from before you even get to “Strine”. Only when you get away from the “fire/desire”, “friend/to the end”, “fantasy/reality”, “love/from above”, etc etc CRAP English lyrics can you really feel the power of music to speak to everyone. Always Francesco Gabbani the Favorite!!!! Now is so obvious Eurovision contest was arranged !! They totally mistook Balkan for Ex-Yugoslavian region. Balkan is wider than only Ex-Yu countries. Balkan and ex-Yu are used as synonyms. ‘Balkan’ is more of a cultural than a geographical indication. It’s also worth noting that all 16 songs who failed to advance to the final were exclusively in English as well. I think that it would be cool if for the 70th anniversary of Eurovision, the language rule was brought back. Just for one year. Or better: they simply ban English for a year (would love to see a Welsh, Cornish, Gaelic or Scottish Gaelic song representing the UK!). Nice to see that there are quite a few “original” versions out there – most of them much better than the one in english. So there’s good hope for more in 2018 (even though i’m not sure, how the plea for “real music” will turn out). Now could somebody make the following happen please? Working on the lyrics, unfortunately i can not sing. EBU… PLEASE… BRING… BACK… THE… LANGUAGE… RULE!!! I’d rather countries enter in their national language because they want to, not because they’re being forced too. I think we’ll see a lot more songs in not-English next year, inspired by Portugal. Robyn: Even without language rule, we still had songs with lots of la’s and yeah’s. Lithuania’s entry this year had like 50 “yeah’s” and that was, of course, painful to hear. At least no one from the Wiwijury would criticize a song for badly-written English lyrics and mispronounciation or say how awful the switch to English is compared to a song’s original language. However, I see going bilingual, as was the case with “1944” as the best route to go. In other news, looks like it won’t be long before Junior Eurovision also mphase out its own language rule. I agree such rules are not helping the quality of the songs. Quality has nothing to do with which language that is used. Actually many of the Swedish entries in the eighties were really silly. Especially the “fyra bugg och en coca Cola.” Rubbish text in Swedish. I don’t know, I’ve been thinking…force countries to sing in their own languages will make UK, Malta, Australia and Ireland Top 10 every year, like in the 90’s. Maybe if every 5 years, EBU draws a year when that specific country must send a song in its own language (or in a national dialect). It could be at least 51% of the lyrics in that language, 49% in English. Like Azerbaijan in 2020, Georgia in 2021, Russia in 2021, Romania in 2022, etc… After 5 years, another draw. I don’t know, all this English is really hurting the Eurovision meaning, in my opinion. If this would happen the Swedish Melodifestivalen would die. For many years Krister Björkman has worked to bring back Interest to the contest. since the 70s it became more and more of a special brand of silly music in Sweden. Christer changed that. That would be a step back for us. Less artist would be interested. I don’t think that a song in Swedish every 5 years would kill Melfest. Also Sweden won in 91 singing in Swedish. Salvador’s win was benefitial for one reason only: maybe more countries will sing in their own languages next year. I mean I don’t have much against singing in English either, but I encourage the future contestants to be as genuine and unique as they can be. Wasn’t the Croatian song in French? No. It was in English and Italian. Don’t be fooled by Jacques Houdek having a French name – it’s a stage name, his real name is Zeljko Houdek. More songs in native languages please! I’m English and don’t need to hear the songs in English. My fave songs Italy and Hungary and loved Belarus and winner Portugal! Eurovision should show us more about the countries’ culture and how better than in their own language! I am totally with you on this one! I really like when countries send their songs in their own languages, it’s so much better! Besides Italy and Portugal, which usually or always send these kind of songs, I loved Belarus and Hungary this year, they got their messages across perfectly on their own languages!! I also love Balkan balladas, please, let it be more of original language songs next year! It makes the contest so much more interesting and Univerisal! I think O.Torvald would have been better with a song in Ukrainian. “Time” was their first song in English and it failed. That is pure speculation. Linditas song was crap… And singing it in Albanian would have hardly helped it. Absolutely agree! Italy and Portugal stick to their language most of the times if not always! Italy has proved that the language is not an obstacle and you can have a great result! Portugal has never been tempted to change the language and sing in English for example, because of the bad results. But guess what, once they’ve sent a good song, they slayed!! When they show the live tweets on the RAI broadcast, there are always many tweets complaining about so many songs being in English. The public isn’t here for a bunch of generic pop songs in English, when will they understand it?